Clear your calendars and cancel your plans – DEMO DAY is finally here! 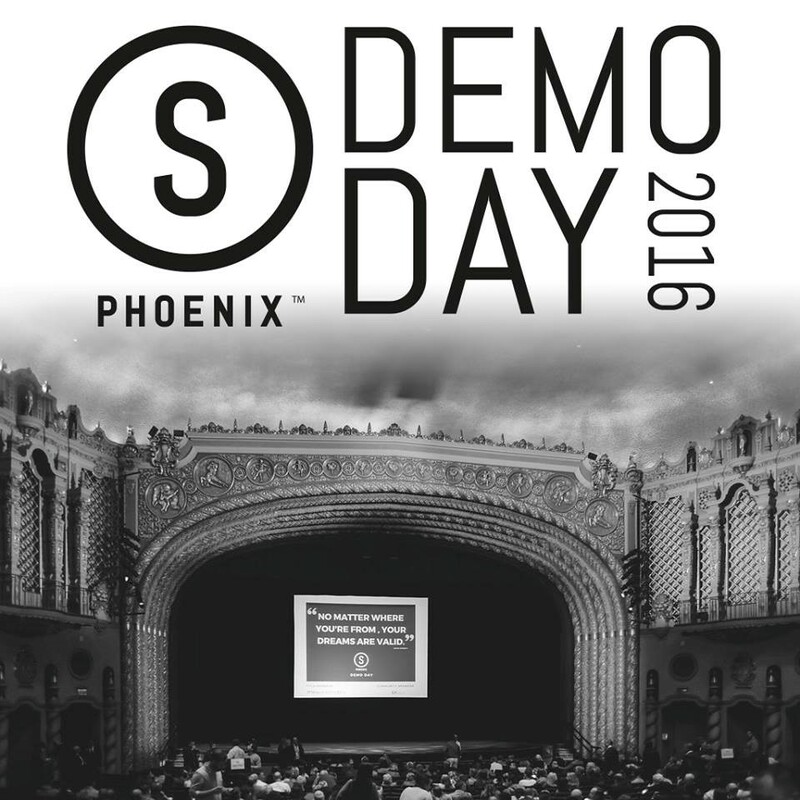 Come join the Phoenix community this Wednesday, December 7th at 6pm to fill the Orpheum Theatre and celebrate Arizona’s largest annual pitch event! 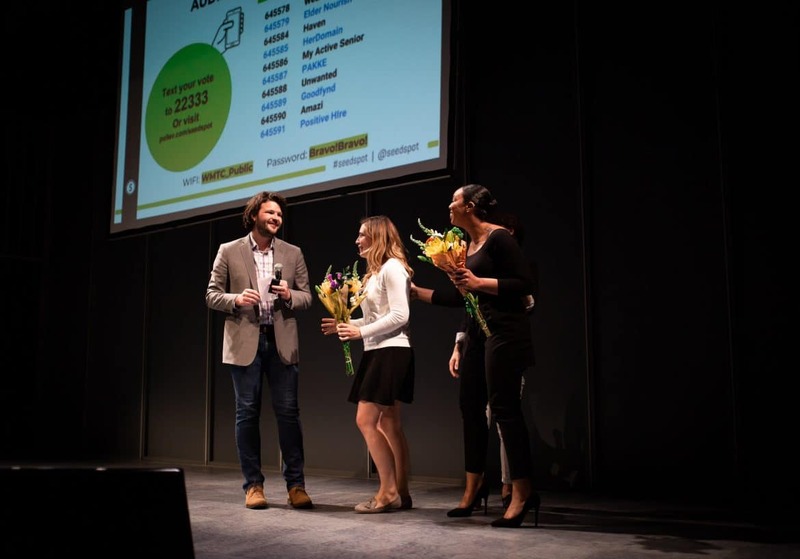 SEED SPOT’s 7th full-time cohort of 14 social ventures will hit the stage in front of 1,000 people to give their three-minute business pitch. If you haven’t RSVP’d yet, NOW is the time; this show WILL sell out! 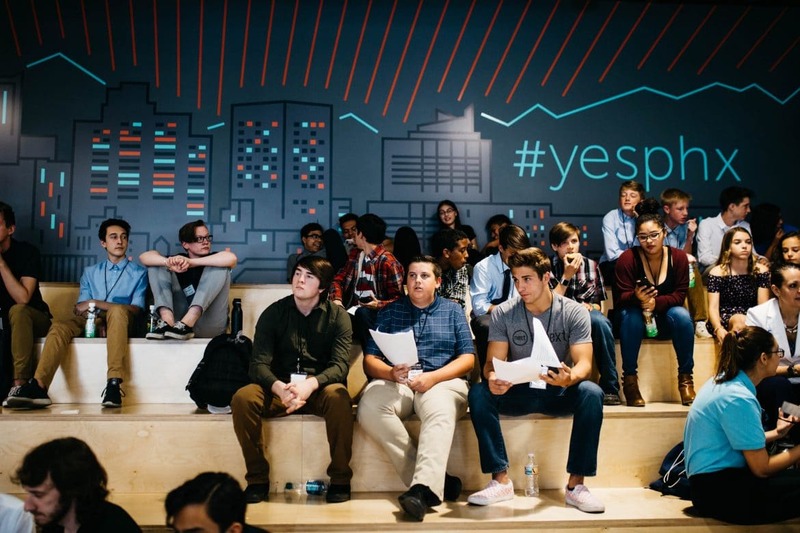 Each year, DEMO DAY is Phoenix’s opportunity to recognize local dreamers and celebrate their achievements, including innovations ranging from Healthcare Technology to Animal Welfare. 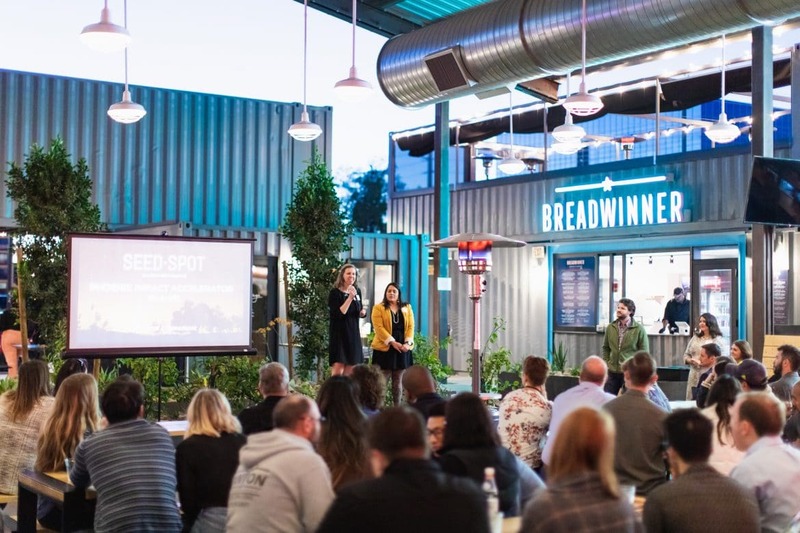 After 14 consecutive 30-hour weeks of leadership development, 1:1 mentoring, and pitch practice, these incredible social entrepreneurs get to present their ideas to the community they hope to positively impact. Attended by some of Phoenix’s most influential leaders, this showcase represents a critical acceleration point in each dreamer’s career. So let’s show up and cheer them on! After struggling through school, Jaime is proud that he was able to grow personally and professionally. His dream is to help students and parents find the right school so they can thrive. When she was young, Stephanie watched helplessly as her mother fell ill and lost her will to live. Stephanie discovered that half of all women suffer from the same things her mother did. Now, she wants to open the discussion on a topic typically considered taboo – women’s reproductive health. Thiago has spent 15 years as an equine veterinarian and has seen first-hand the catastrophic effects that unsafe transportation of horses has had. His dream is to extend the care and protection that horse owners desire for their animals to the horse transportation industry through technology. Founded in collaboration with two other women, the Better People Company was created out of a sense of personal mission to create equality in society. Previously an arts educator, Joanna lived across the country teaching people to tell their story through theatre. With practice, each person awakens to their voice which may not have been listened to before. Joanna recognized the need for a community where people can talk about the issues revealed in their stories. James grew up in Chicago and was involved in youth media. He got the opportunity to travel to Washington DC to cover Capitol Hill, where he was introduced to the game of squash by a mentor. Over time, he wound up back in Chicago and participated in the development of an urban squash program to support young people. In her junior year at ASU, Jasmine thought she would become an investment banker. However, a critical turning point came when she heard a survivor tell her story at a conference. After being exposed to this unmet need in society, Jasmine felt compelled to get involved and use her skills to make a difference. While working in the army, Eric was a nuclear biological chemical specialist. While stationed in the tactical satellite battalion, he became fascinated by communication tools. Eric was recruited out of the army to work for Northrop Grumman Mission Systems, where he realized his desire to become an entrepreneur. As a young girl, Julia struggled with self-esteem issues that landed her in life-threatening situations. As a result, she wants to help young people identify what they’re struggling with and empower them to overcome that in a positive and creative way. Julia believes this can be accomplished through cultural frameworks rooted in identity empowerment, awareness of social issues, and building leaders who positively transform school campuses and communities. Jacob was born and raised in Phoenix, but has spent the past few years working as an architect and attending grad school in Los Angeles. Recently, he has moved back to Phoenix to start a venture with his younger brother, Justin, and to take care of his mom who was diagnosed with early onset Alzheimer’s disease. Megan didn’t consider herself an artist until high school, when her art teacher challenged her to put her feelings on paper. When she later became a teacher and started working in Title I schools, Megan was saddened by the lack of art opportunities available for students. Jennifer has always been an advocate and volunteer in her community. Working with students to help them see their potential to grow and become empowered leaders is something that helps her grow as a person. Ever since Pedro moved to the US from Cuba with his family in 1966, housing has been a constant struggle. By age 16, he had moved over ten times! Now Pedro wants to make a difference for other families affected by the same struggle. Kay came from the Middle East 20 years ago and has worked hard to build a life for herself, but as a single mother she’s struggled to make ends meet. To help women in the United States and the Middle East with similar struggles, she decided to create Tappetite. When Jaime was younger, she received a full scholarship to art school. However, she turned it down because her parents didn’t think it was a good career choice for her. After many years of building a career as a veterinarian and scientist, Jaime came back to art. Now, she wants young people to know that it’s okay to be creative to make a living and be prosperous. SEED SPOT is so honored to support the dreams of these powerful individuals who come from such diverse backgrounds. Let’s give a round of *virtual* applause for these incredible entrepreneurs with the courage to DREAM BIG! Join us on December 7 for a night of inspiration, non-stop energy, and a reminder that WE CAN take a stand and pursue the ideas we have to change our world! Special thanks to Chase Bank, Downtown Phoenix Inc., Arizona Multibank Legacy Fund, KJZZ, and ASU Rob and Melani Walton Sustainability Solutions Initiatives who make this showcase possible!